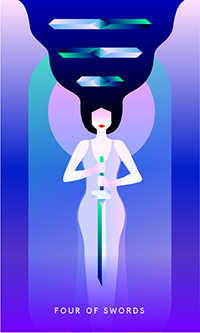 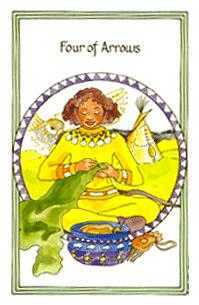 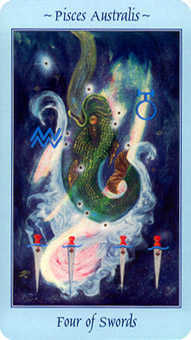 Summon creativity and resourcefulness from the depths of your being. 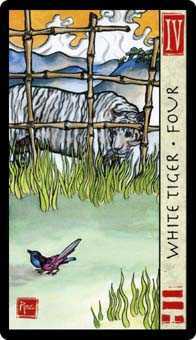 A Four in this suit sends a message to take some time out, surrendering worldly concerns and retreating to a sheltered place of serenity away from the hustle and bustle. 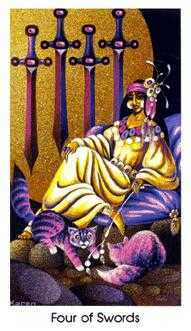 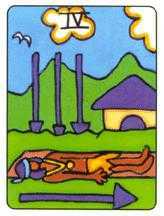 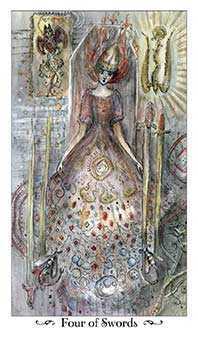 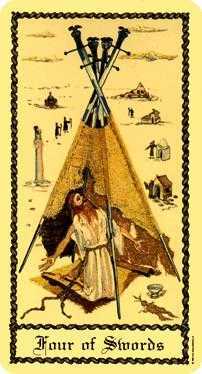 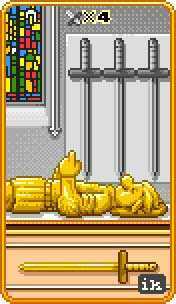 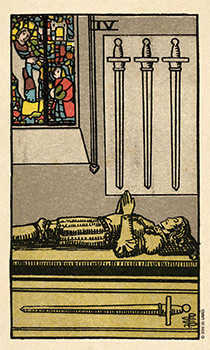 The oldest Tarot card images suggest a visit to the tombs of our ancestors, a place to contemplate your mortality and breathe in the dust of those who brought you here. 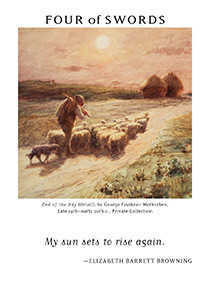 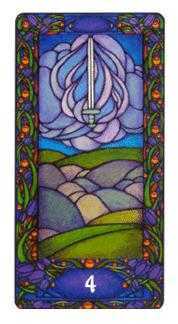 A vision quest or pilgrimage to one's own center allows us to contemplate our roots, values and goals. 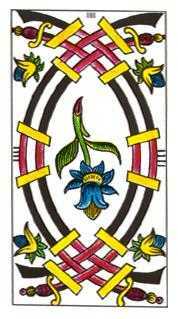 Here you will see your place in the flow of time ... and unfolding generations. 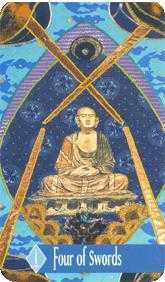 Concentrate less on the opinions and biases of others. 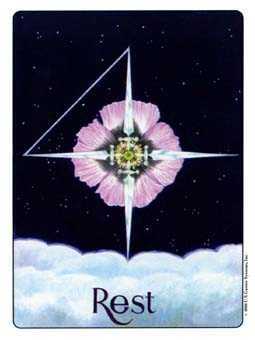 Be open to intuition and insight from a deeper source. 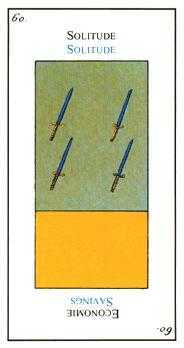 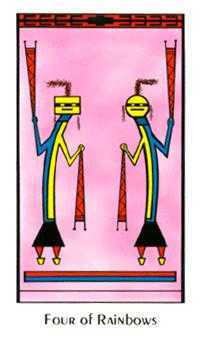 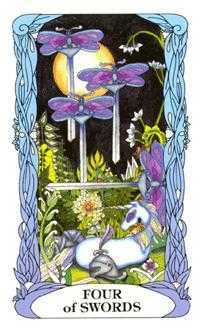 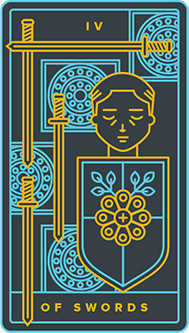 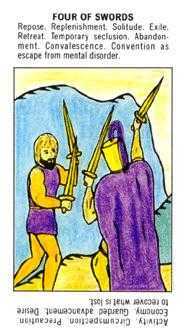 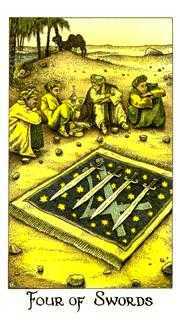 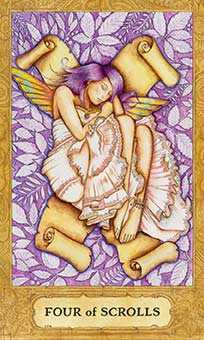 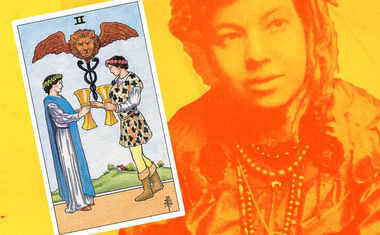 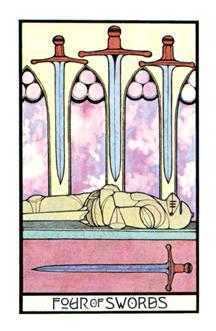 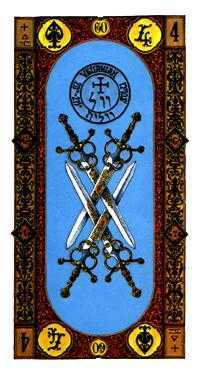 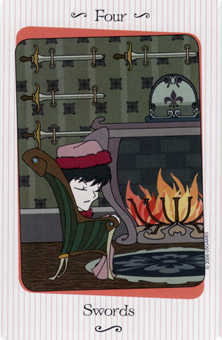 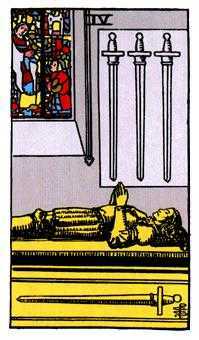 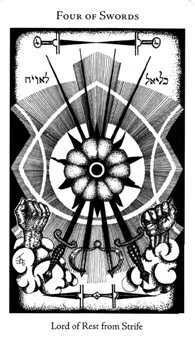 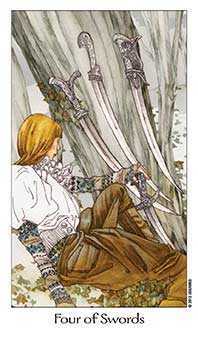 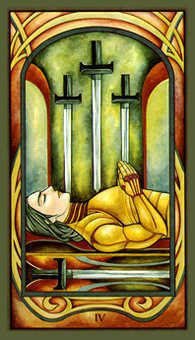 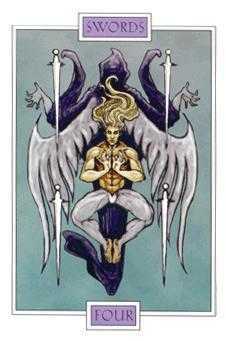 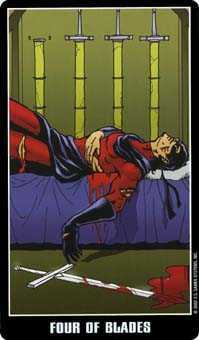 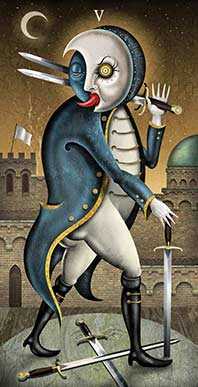 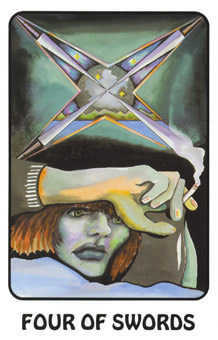 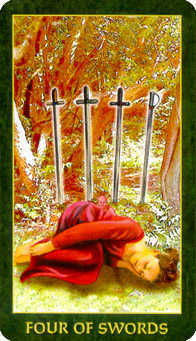 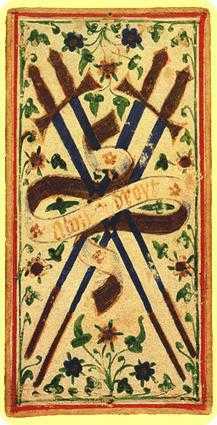 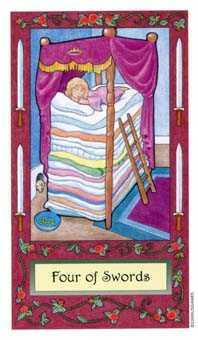 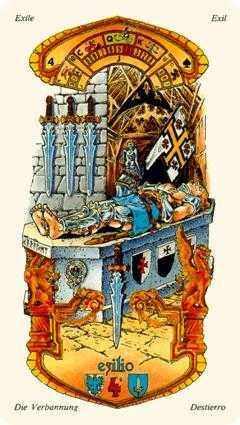 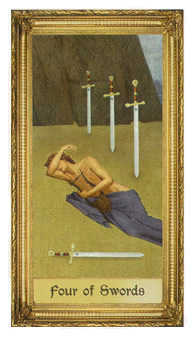 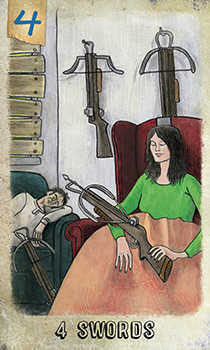 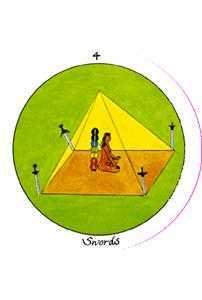 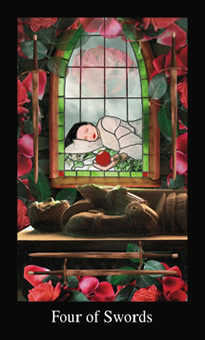 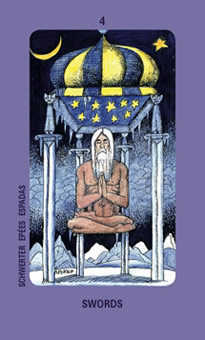 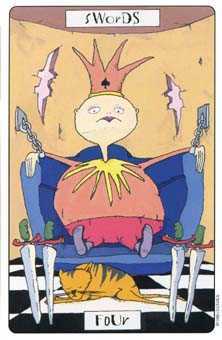 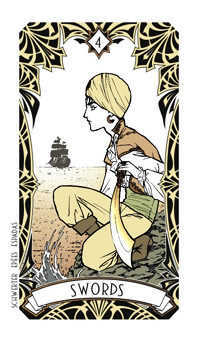 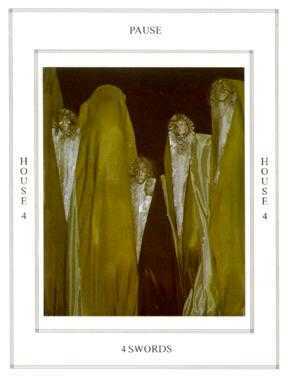 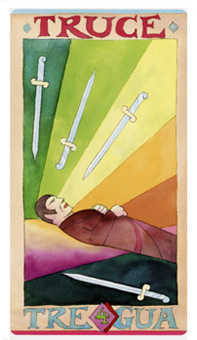 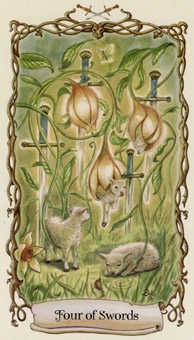 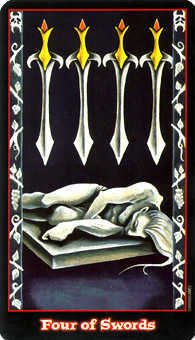 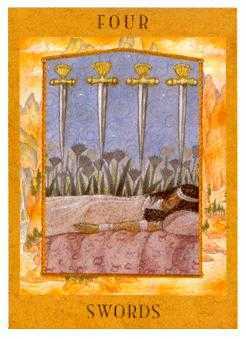 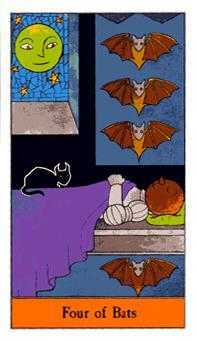 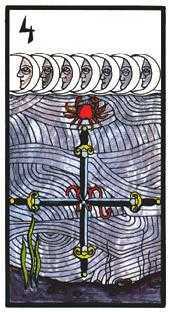 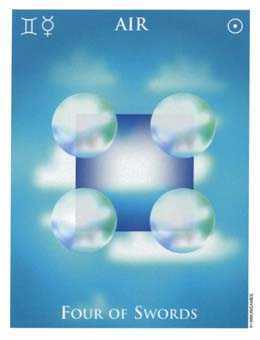 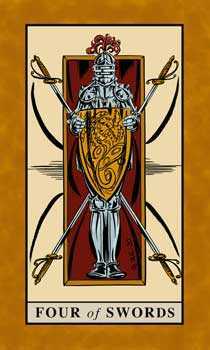 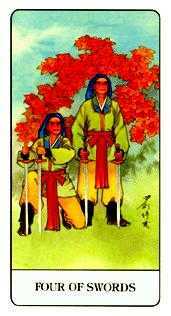 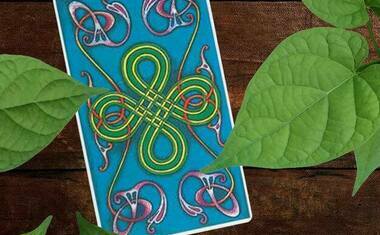 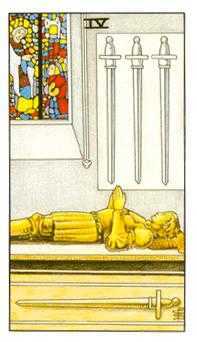 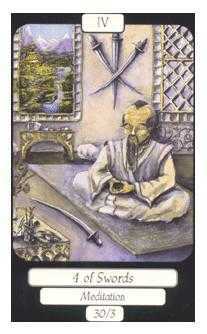 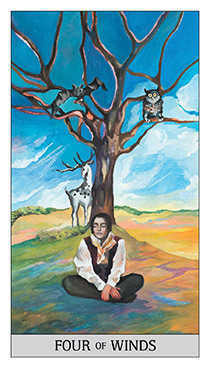 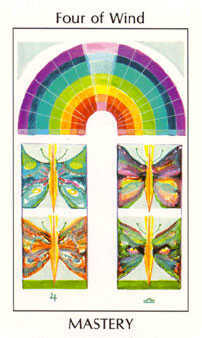 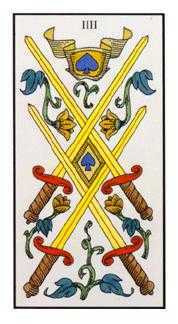 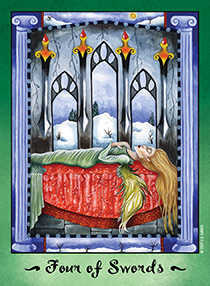 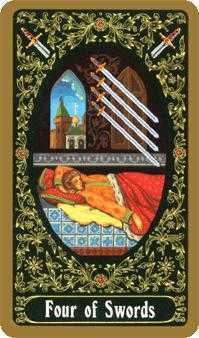 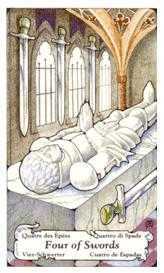 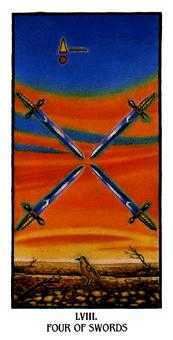 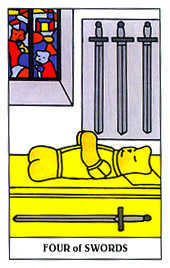 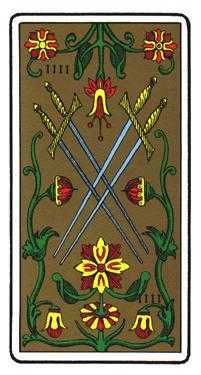 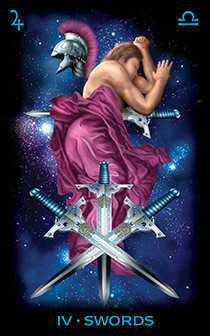 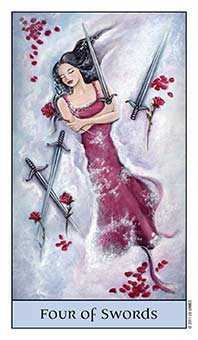 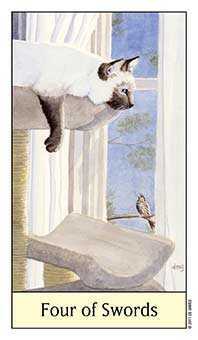 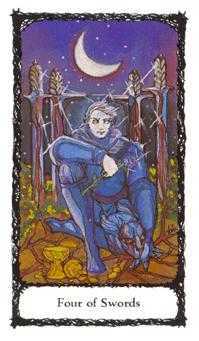 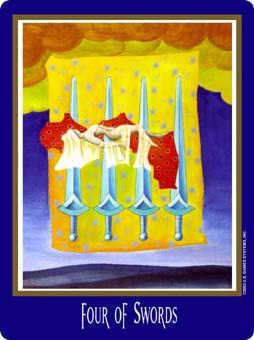 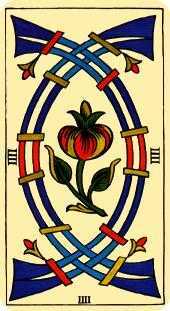 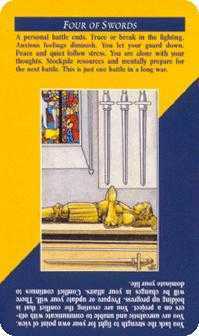 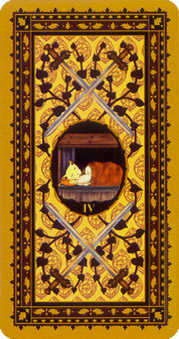 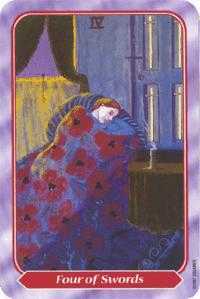 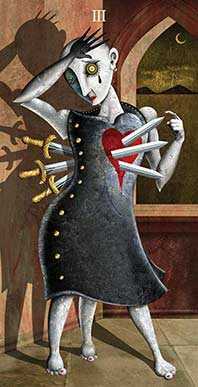 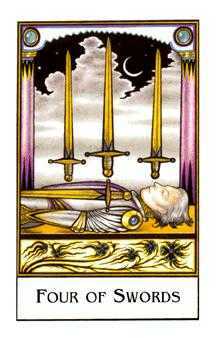 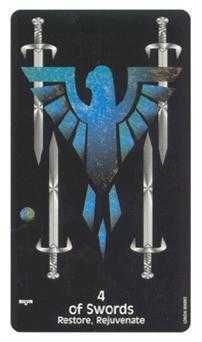 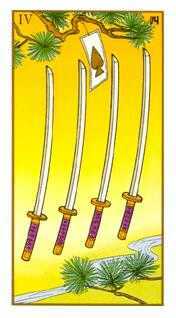 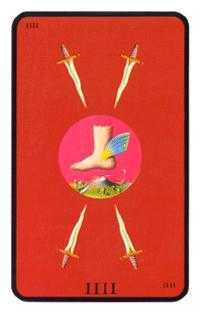 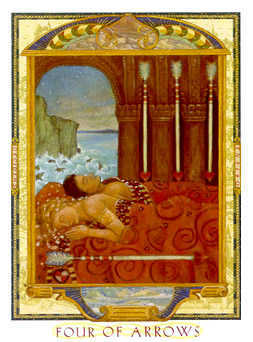 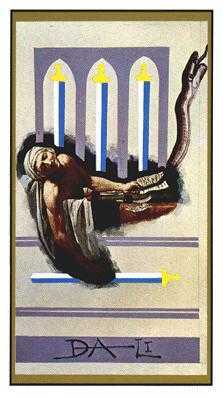 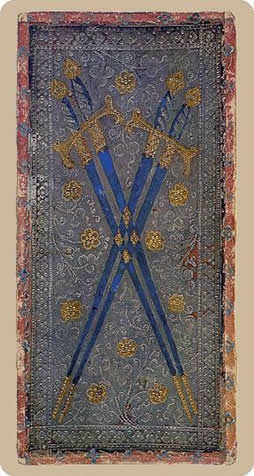 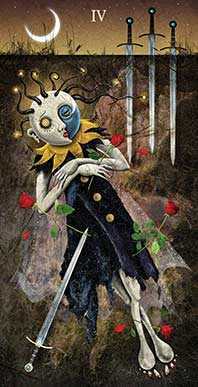 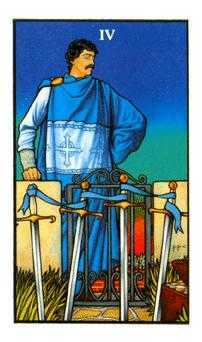 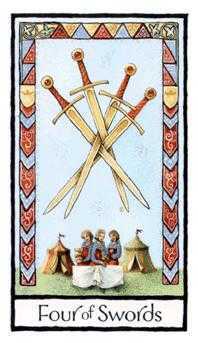 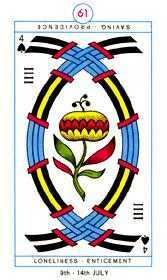 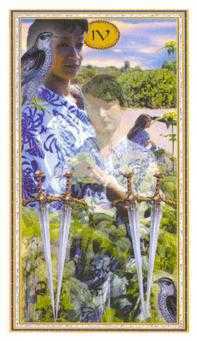 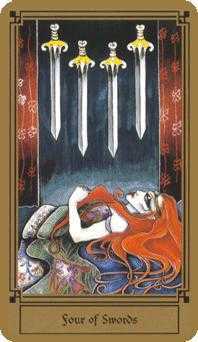 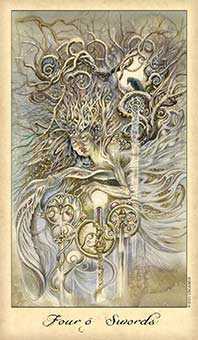 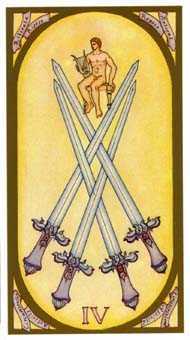 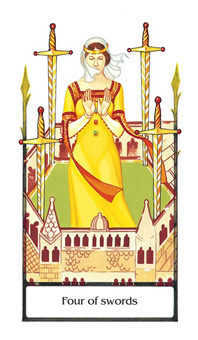 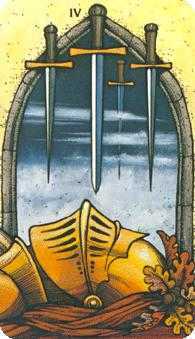 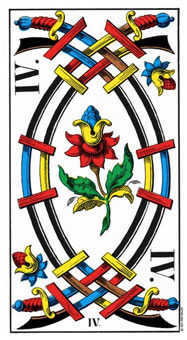 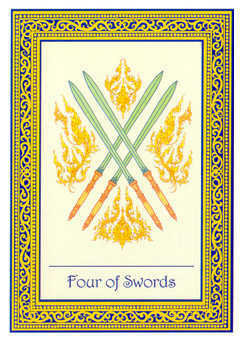 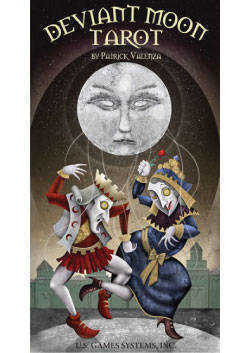 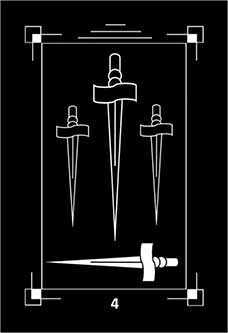 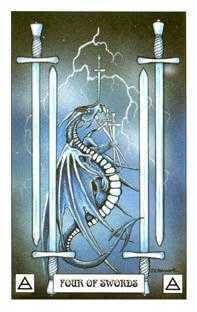 The Four of Swords in this position strongly urges that you keep your own counsel in this situation. 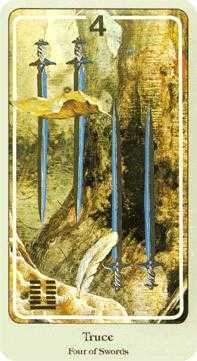 There may be too much fear and hostility in the environment for you to be heard. 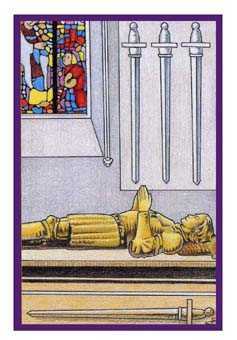 It might be that your ideas are not ripe enough or that you are not ready to listen to feedback from others. 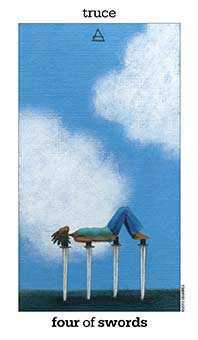 If you spend more time in contemplation, you may successfully disregard the emotional occupations and biases of others. 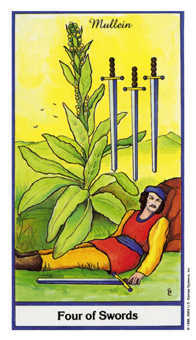 For now, closely observe inner events. 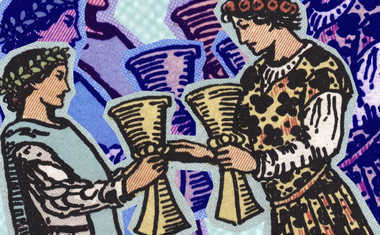 The time for sharing will come later.